Cooking in Israel is the best attraction for foodies visiting the country! Learn Israel cooking class with me and you will enjoy a very unique experience. Cooking is my passion as you already know about me. Cooking and baking on top of being very creative are also very relaxing for me. Spending time in the kitchen is effortless. Do you feel the same? Do you like spending time cooking? I love trying new recipes especially recipes of Israeli food. I do like to find tasteful and easy to prepare dishes to add to my repertoire of Israeli recipes. 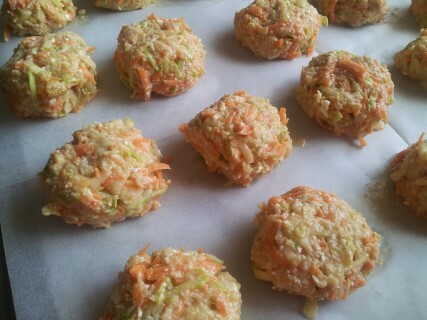 Lately I found this recipe of veggie balls and fell in love with. They taste delicious and are healthy. Cooking healthy food is always a benefit in Israeli cooking. 1. mix well all ingredients together. 2. Preheat the oven to 1800c or 3600f. 3. Create balls and place them on a baking sheet. 4. Bake about 40 min. until light brown. 5. Serve warm or in room temperature. I like to inspire people by sharing my recipes to give new ideas for mixing flavors and suggesting healthy ways of preparations like baking instead of frying. In my cooking lessons in Israel we will prepare together lots of dishes of Israeli food healthy and delicious. You are welcome to leave your name and email to join my readers.